Despite yesterday being April Fools day, it was a great day for Customer Thermometer. After a few weeks of listening to feedback, planning and coding, we are proud to release Customer Thermometer v1.5 which is now available to you when you log in. You can now archive Thermometers and Lists. Many of you have asked for this feature. You’re now able to tidy away Thermometers and Lists that you no longer need. By clicking the SEND TO ARCHIVE button, they’ll be filed away in the new archive area in your account. Do note, if you archive a Thermometer or List, none of your response data in the reporting area will be lost. All data remains. If you need to recover a Thermometer or List, go into your archive folder and restore it to your active list. Archived Thermometers or Lists will not be visible in the Blast area. It seems many of you like to leave your reporting page open on your screen all day to watch your responses coming in (which we love). Previously, the application would timeout after an hour. If you now tick the ‘remember’ me login box when you login, it’ll leave you logged in for six months! 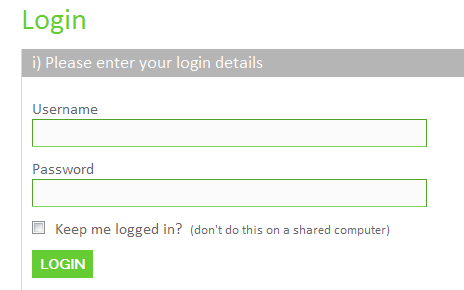 We say it’s still good practice to logout at the end of the day, unless your computer is password protected and remember, don’t tick this box on a public computer. All reports and timestamps around the application are based on server time, which is GMT-6. In this new release, you can now customise your timezone, so that clicks, modified and created times etc are now relative to where you are. Visit your Account area (top right menu bar) and you’ll see a new drop down area where you can select your timezone. By default, all are set to GMT. Select your timezone and all of your timestamps will change. Whilst you’ve always been able to add hyperlinks, bold and italicised fonts to Thermometers and your landing pages using HTML code, today sees the launch of new text editors, allowing you to do all this using the toolbars in the editors. Experiment with adding links to your landing pages or bold elements to highlight key points in your Thermometer text. We’ve added the first name and surname to this report now – as email address only isn’t always enough to determine the problem. If you’d not noticed, you can now switch on email alerts for amber clicks too. When you receive these alerts now, all contact data appears on the email, as opposed to just the email address, making it easier to address any issues. Some of our customers have been asking for new email icons – today you’ll find new number icons in your Manage Thermometer screen – 1,2,3,4. You might like to ask a question with 4 answers – which aren’t necessarily based around a rating. Now you can! Keep your requests coming for the other styles. There are a number of other elements we’ve tidied up, thanks to feedback from you all, you’ll notice some changes here and there as you move around the site. In addition, we’re excited to now have a fully integrated reseller system now in place. Watch for more on this very soon – if you love Customer Thermometer, you can get paid for recommending us on your site. Like all applications and software whilst we’ve worked very hard to ensure everything is tested properly and working smoothly – it’s possible that we have missed something and so if you spot an issue or bug, please let us know and we’ll respond straight away. We hope you continue to enjoy using our service and thank you for your continued feedback, support and advocacy!